THE FRESHMAN, BOOK 1. Welcome to Hartfeld University! You'll make friends for life, and maybe even find true love. 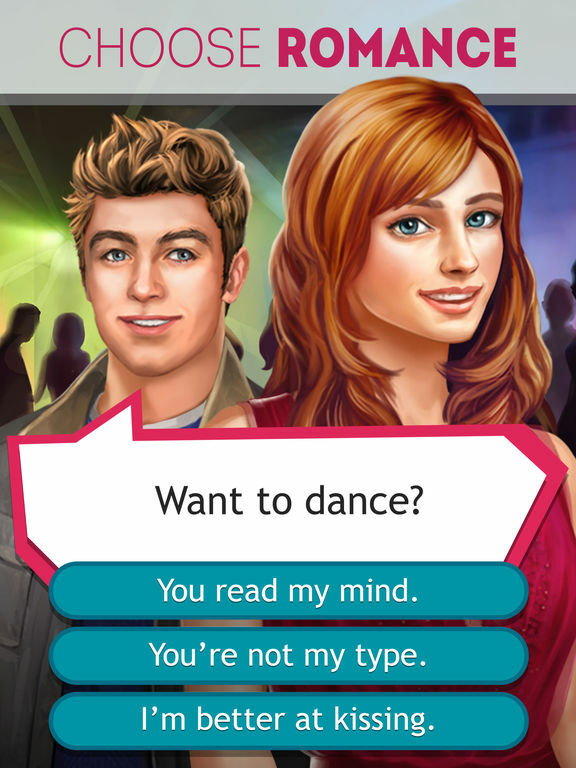 Will you date bookish James, party girl Kaitlyn, football hero Chris... or all three at once? - Dress to impress with fashion forward outfits. - Support new friends as you tackle freshman adventures together! 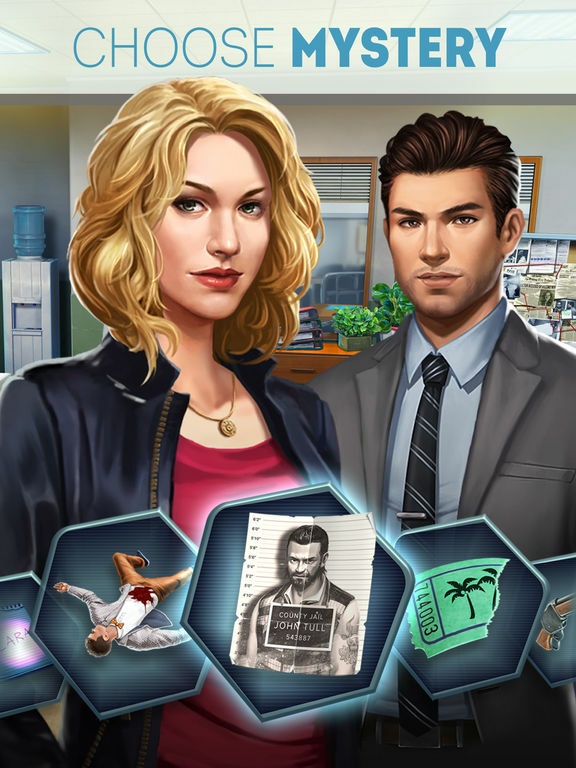 - Play as Detective Dave Reyes and U.S. Marshal Sam Massey. - Investigate a mystery with twists you won't see coming. - Examine evidence at crime scenes. - Stop the killer before he can claim another victim! 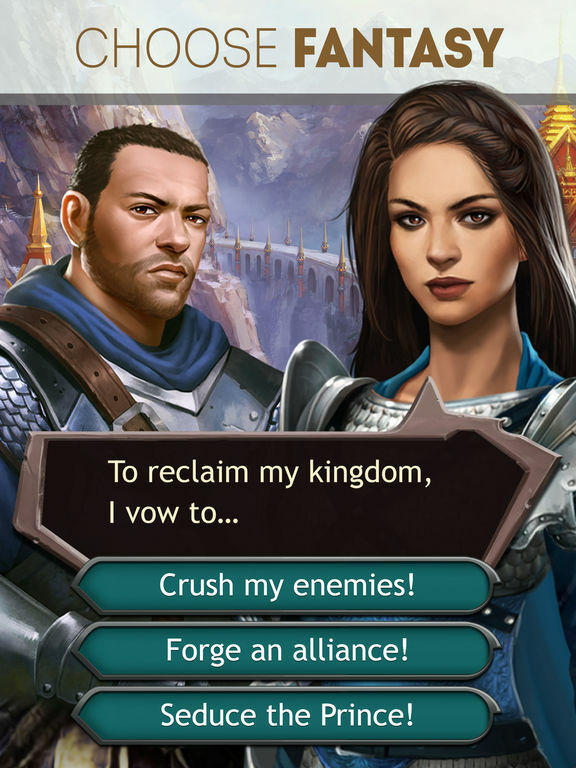 - Form alliances to build your army. - Choose between elegant ball gowns and powerful armor. - Crush your enemies in an epic battle! ...PLUS more new stories COMING SOON! 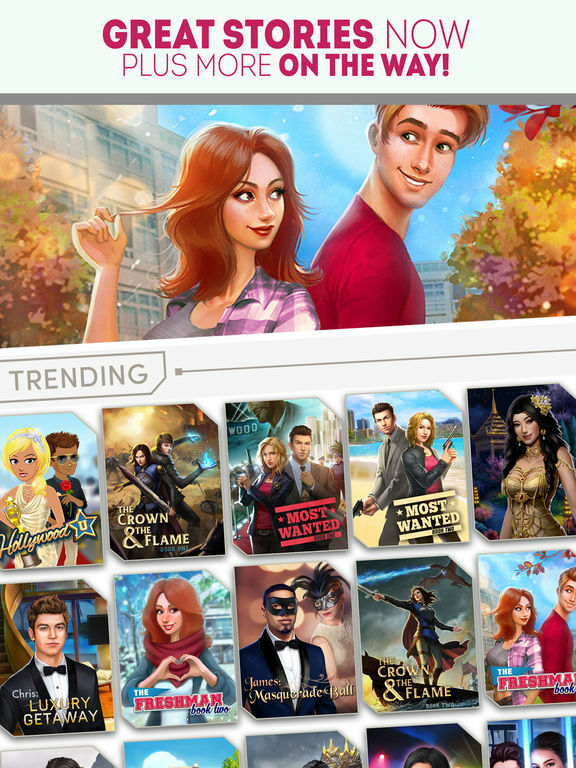 Thanks for playing Choices! If you encounter any problems, please let us know at support@pixelberrystudios.com.